Tucked on a mountain edge on the west bank of the River Indus is the 16th century Hemis Monastery or Hemis gompa of the Drukpa lineage. 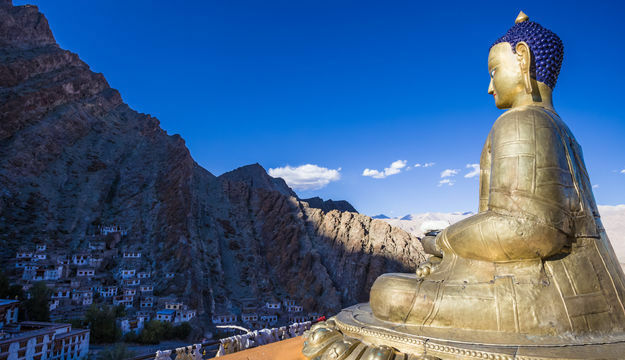 Quite popular among the tourist community visiting the Leh Ladakh region, it is a mere 45 kms distance away from the Leh City. 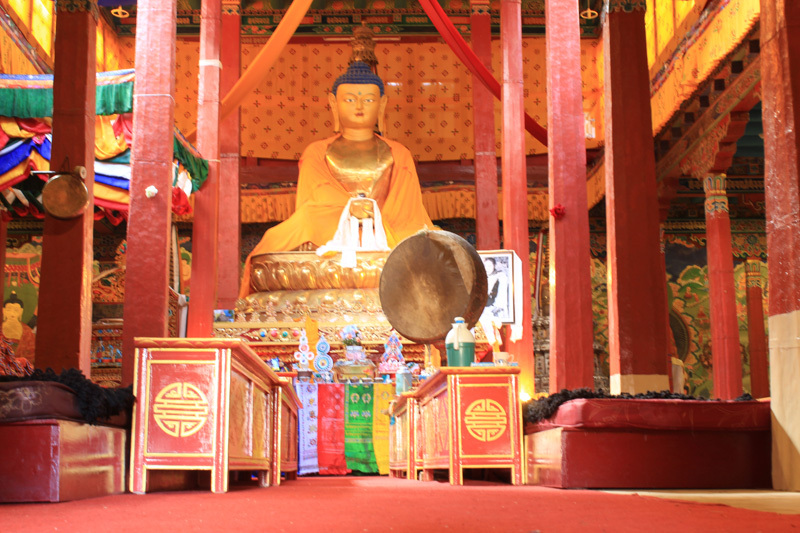 This monastery is said to be a sacred seat of power among all other monasteries of the region. Administering directly more than 200 branches of it in the whole of Himalayan region it shelters thousands of monks who study Buddhism and Buddhists manuscripts making it the largest monastery. Reasons why, this is an important living monument and a heritage site of Indian Subcontinent. Monastery belongs to Dugpa Kargyutpa order or Red hated Sect of Buddhism and is believed to be the birth place of Guru Padmasambhava, the reincarnation of Lord Buddha. It, protects a copper gilded statue of Lord Buddha that is seen along with various stupas made of precious metal like gold and silver. Every year in the month of June Hemis Monastery, hosts a two day long extravagant annual celebration called the Hemis Festival. Celebrated annually on the 10th day of the Tse-Chu, the Lunar month of the Tibetan Calendar, this two day fiesta marks the birth anniversary of Guru Padmasambhava. 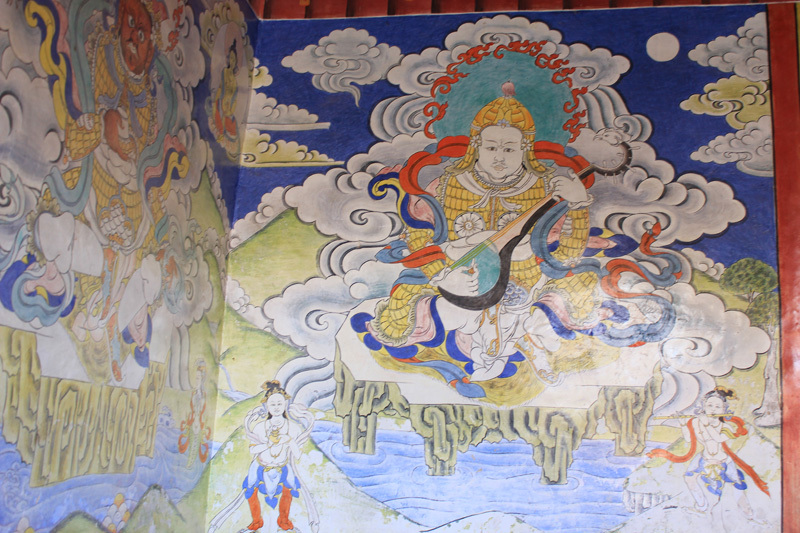 On this annually celebrated day, the whole of monastery’s complex are adorned beautifully with a large number of Thangkas. The sacred applique work along with tapestry wrought with pearls, depicting the image of Guru Padmasambhava are brought out for this annual festival. 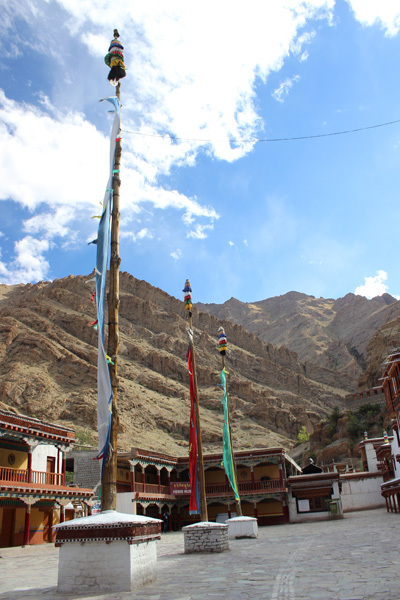 Some 3 km away, on the upper mountain regions of this monastery is a sacred hermitage, reckoned to have been established by the great Gyalwa Kotsang himself. 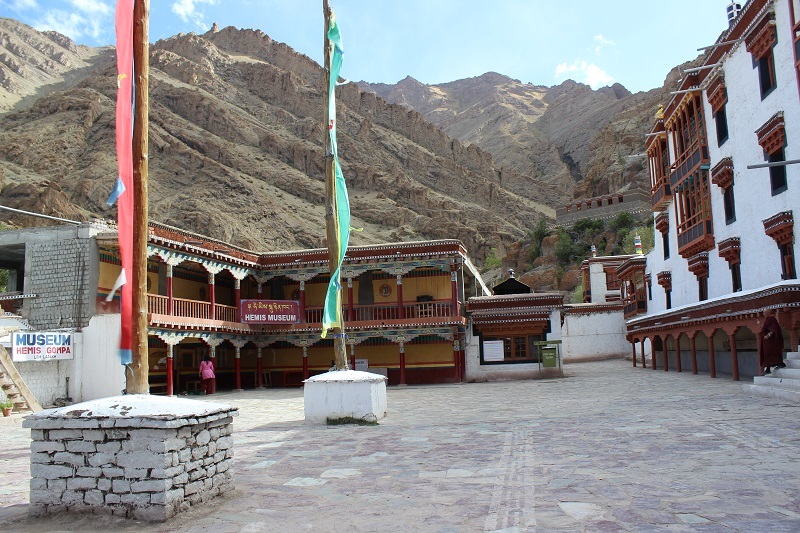 It is said that this sacred hermitage was found many years prior of establishing the actual Hemis Monastery. To reach there one has to take the stairs on the rocky patch of land to the left of the monastery. The hermitage/cave,has the footprints and handprints of Gyalwa Kotsang on its walls. 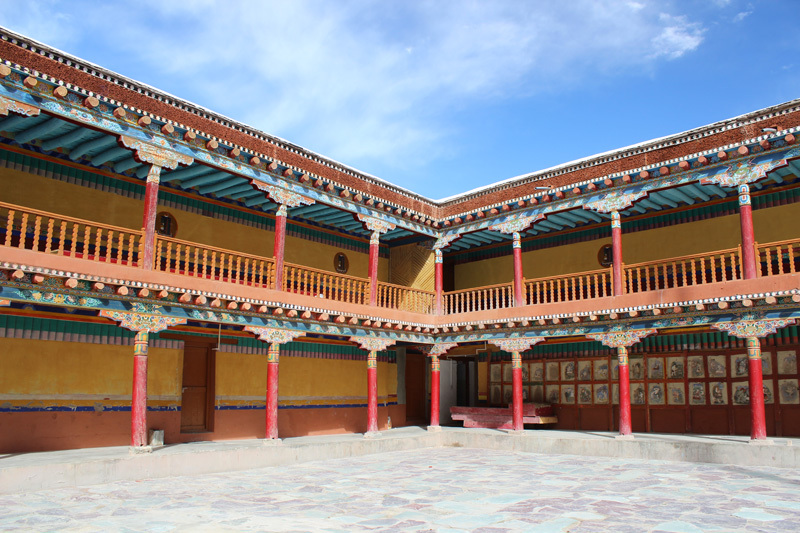 The Hemis museum present inside the monastery’s premises, have several ancient religious and historical paintings (Thangkas), carriers, weapons, religious masks which makes it a must visit for the tourist visiting the Hemis monastery. Photography is prohibited inside the museum. But ,people interested in its history can find great number of descriptive books with elaborate pictures, available for buy from the well stoked gift shop near the west side of Hemis Museum. 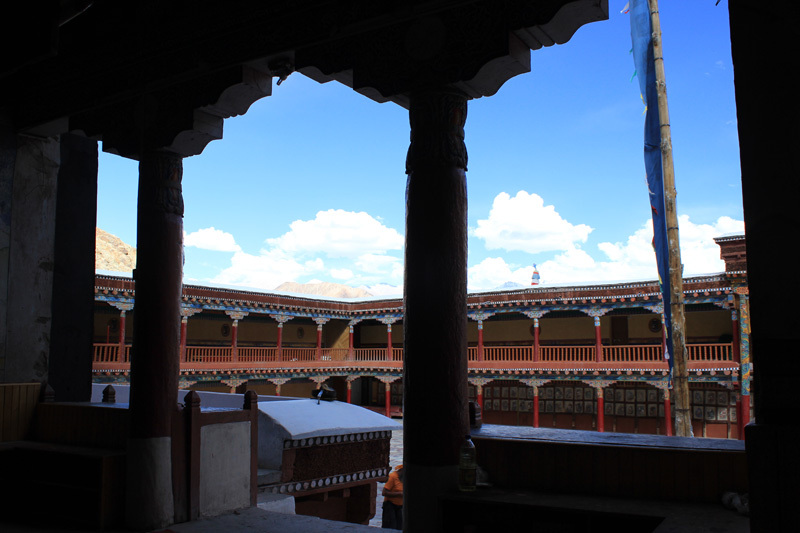 As a whole it is a nice and quite place to get immersed into the rich Ladakhi Cultural history . The best time to visit Hemis monastery is between the months of May and September, when the weather is pleasant and climate is warm. 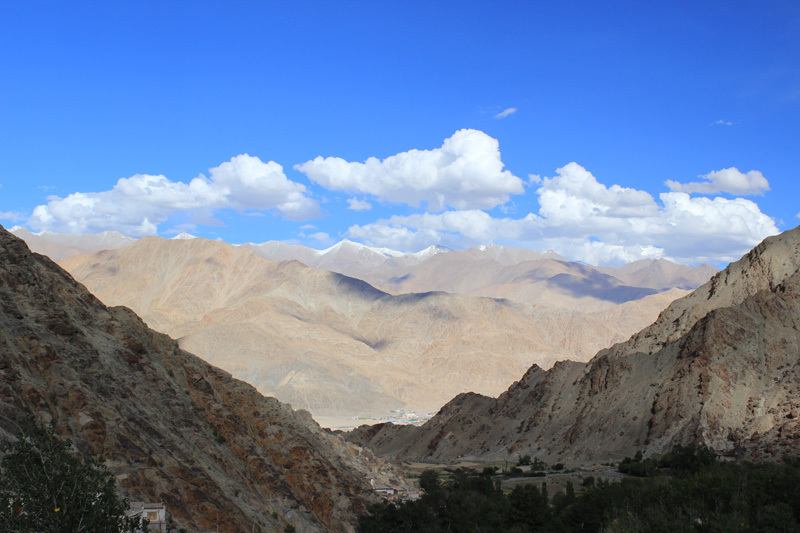 The distance is about 45 kms and only way to reach Hemis Monastery is by a cab or hired bullet/bike from the Leh city. Entry Fee is Rs 50 and the Hemis monastery is open from 7am to 6pm .